In continuation of their esteemed collaborative relationship, UK-based retailers size? 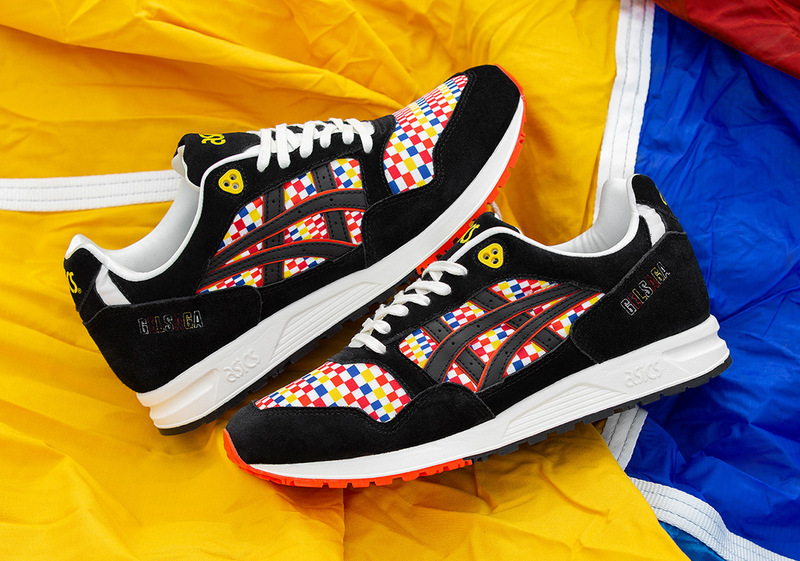 and ASICS are back once again with a colorful rendition of the original Gel Saga silhouette. Meant to pay homage to Japan’s “Balloon Fiesta” – a celebration located in the North of the island of Kyushu where thousands of locals and tourists meet to share their love for hot air balloons and compete in a series of competitions – its focal point clearly comes by way of a dazzling checkered pattern inspired by the envelope of a balloon on its underlays. An all-over graphic of balloons dresses up this iteration’s custom insoles, while its black textile overlays are meant to mimic the gloves warn by pilots in an effort to avoid heat given off by the burners. Pais will be available in limited quantities via size?‘s online app and in select stores this Saturday, November 17th for £90.